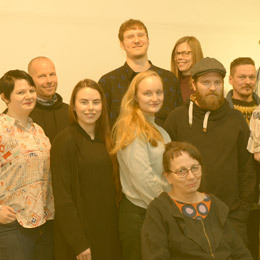 Mänttä Art Festival 2019 from June 16 to September 1 in Mänttä-Vilppula, Finland. Mänttä Art Festival has been organized since 1993. It is one of Finland’s leading summer reviews of contemporary art, with a new curator bringing a fresh perspective to the exhibition every year. For more than a decade the main exhibition venue has been Pekilo, a former animal feed refinery near the Mänttä mill chimneystack. XXIV Mänttä Art Festival from June 16 to September 1, 2019 in Mänttä-Vilppula, Finland. Open daily from 10 a.m. to 6 p.m. (also the Midsummer day). Pekilo Exhibition Centre, Tehtaankatu 21 FI-35800, Mänttä Finland. See the map. Hop on the Serlachius bus from Tampere railway station and let it take you to the art destinations of Mänttä! Read more! Method of Payment: We accept debit cards, Visa, Visa Electron, MasterCard, Maestro and both Smartum vouchers and cards. Mänttä Art Festival is not part of the Finnish Museum Card system. Planning a group trip to Mänttä Art Festival? You can contact Saarikoski Travels for a tailor-made package for your group (min 10 pax). For an offer please contact Leena Tervakorpi +358 40 4802342 or info(at)saarikoski.fi. Pekilo is a former industrial property which has undergone extensive alterations and renovations to make the facilities as audience-friendly as possible. We aim to further improve details to increase accessibility. Read more! Mänttä Art Festival has been organized by its founding association 'Mäntän kuvataiteen ystävät' (Mänttä Art Lovers) since 1993. A biennial event during the early years, the festival has been arranged annually since 1999. It is one of Finland’s leading summer reviews of contemporary art, with a new curator bringing a fresh perspective to the exhibition every year. For more than a decade the main exhibition venue has been Pekilo, a former animal feed refinery near the Mänttä mill chimneystack. 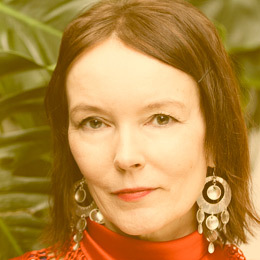 The Curator of the XXIV Mänttä Art Festival is Marja Helander.